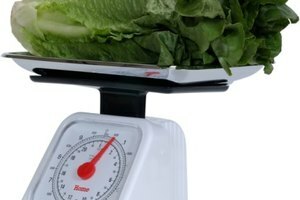 Whether you're measuring portions for weight control or accuracy, a food scale is the best way to go. 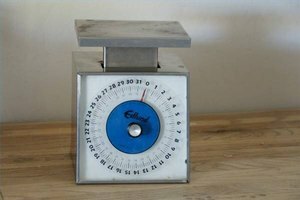 But if you don't have a scale, there are other ways you can measure portions using your hand or common household items. Measuring cups and spoons may be your next best option for keeping portions in check if you don't have access to a food scale. These types of utensils work well for milk, grains, vegetables, cut fruit, oils and nut butters. 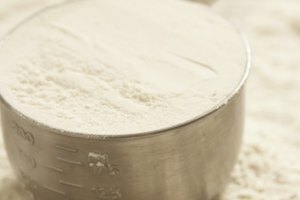 A 1-cup serving of flour is equal to 4 1/2 ounces, according to King Arthur Flour. For accuracy, sift or fluff the flour before measuring with your cup. No matter what you're using to measure portions, check yourself using the standard portion measures, whether it's a food scale or cups and spoons, to ensure accuracy.